The Blab! 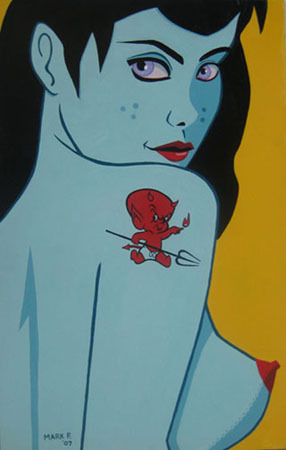 Show and Devilish Greetings are two great back-to-back art shows that are opening this Saturday, September 8th at Copro Nason Gallery in Los Angeles. Both shows run through September 29th and are curated by Monte Beauchamp, who is having a release party during the opening reception for his new book “Devilish Greetings: Vintage Devil Postcards”.